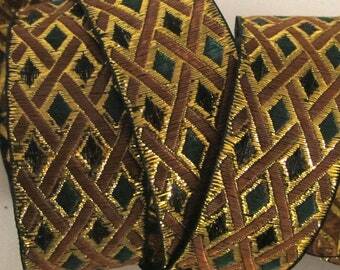 PHINEAS Jacquard trim with Red and metallic gold cross hatching and Forest Green and Black diamonds. 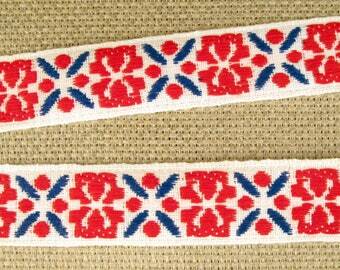 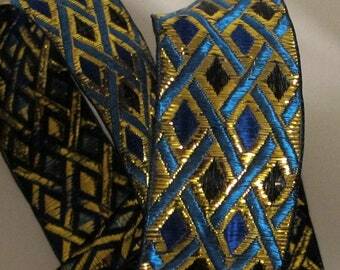 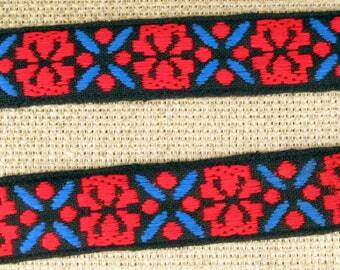 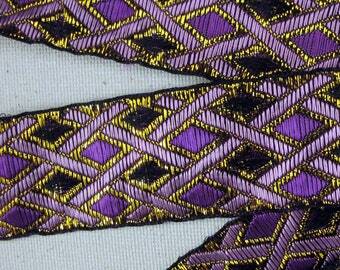 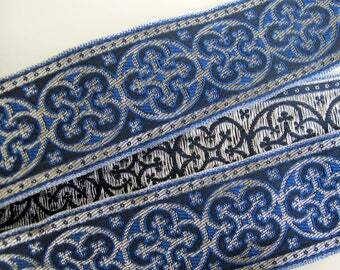 Offered here are 3 continuous yards of this superb Jacquard border ribbon. 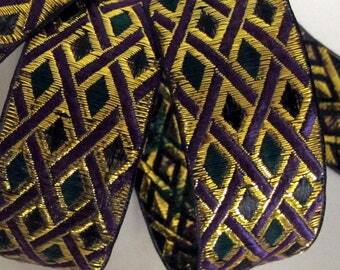 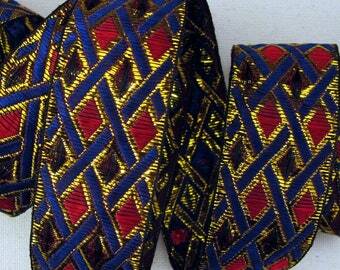 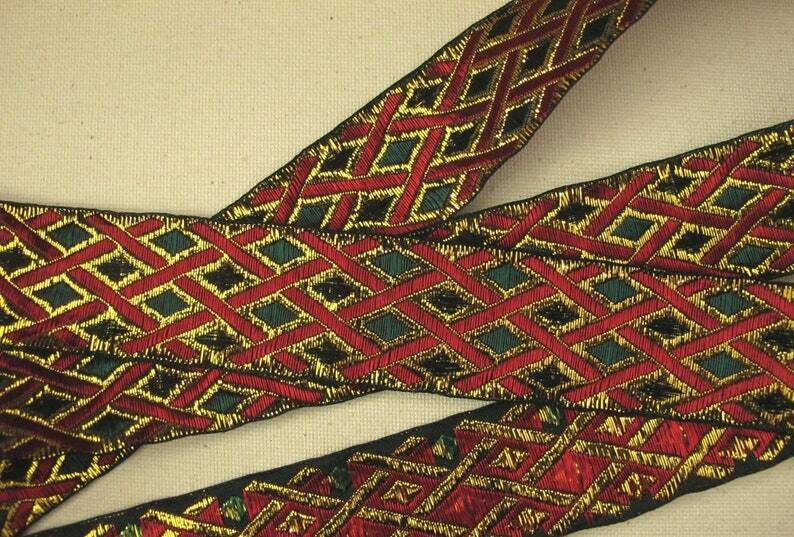 Absolutely gorgeous trim with metallic GOLD, RED, DARK GREEN and BLACK threads.